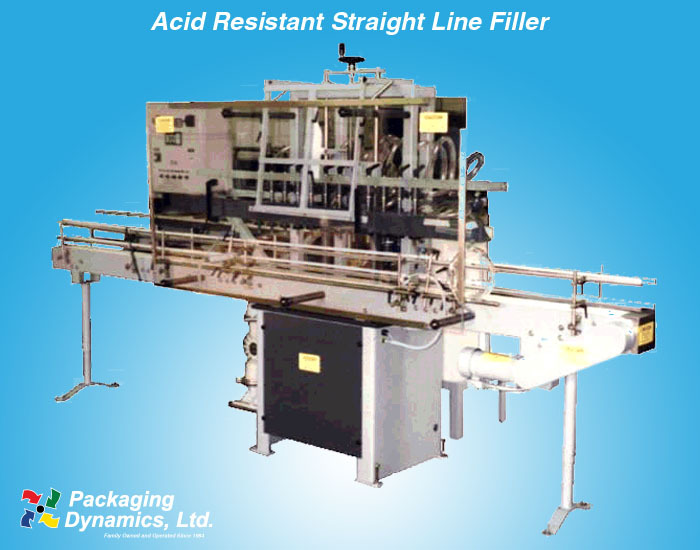 Acid Resistant Straight Line Filler - Packaging Dynamics, Ltd. 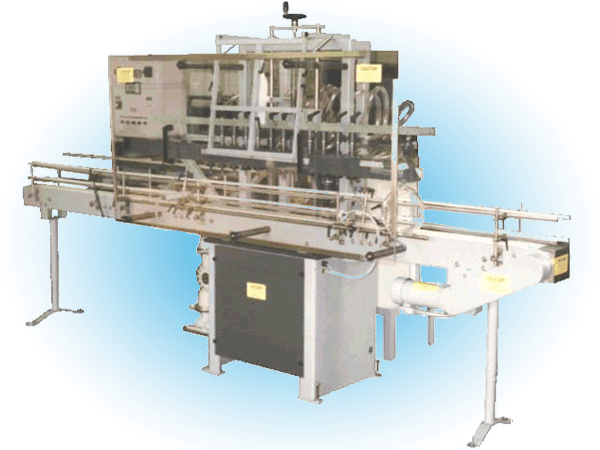 The Packaging Dynamics, Ltd. Automatic Acid Resistant Straight-Line Filling Machine Model SLA has been engineered to withstand the harshest chemicals and environments. Its construction materials include PVC, CPVC, polypro plastics and epoxy resin coatings. Standard equipment include a product reservoir, chemical resistant pump, In-Gate and Out-Gate cylinder system with photo-optic sensors mounted on a variable speed fiberglass resin coated on-board 10 foot conveyor and drive system. Allen Bradley user Interface and PLC are used for setting up timing parameters. Container ranges from 2 oz to 2 1/2 gal (F-Style) at rates as high as 70 containers per minute depending on container size and product. Copyright © 2019 - Packaging Dynamics, Ltd.